The Anaheim Ducks ice hockey team in Anaheim, California are members of the Pacific Division of the Western Conference of the National Hockey League (NHL). Since their start, the Ducks have played their home games at the Honda Centre. 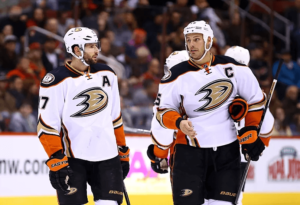 The Anaheim Ducks have been consistent over the last decade. Since they won their first Stanley Cup in 2006, they have made the playoffs in eight of the ten seasons they’ve had. Generally, they have made it to postseason playoffs for about 12 times. Their first entrance in 1996 was only three years after their commencement. They won all their divisional games during that stretch from 2006 to 2016. The club was established in 1993 as the Mighty Ducks of Anaheim, by The Walt Disney Company. The name was based on the 1992 film The Mighty Ducks. 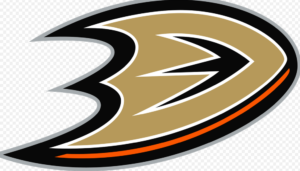 However, the franchise was sold in 2005 to Susan and Henry Samueli, and along the way, they managed to change the team’s name to the Anaheim Ducks before the 2006–07 season. The Ducks made the playoffs 14 times and won six Pacific Division games, one Stanley Cup, and two Western Conference championships. Even though the Ducks are close, they can’t seem to break through and win that second title. Several fans had chosen them to dominate the Pacific, but the Sharks and the Kings had more to say about that. The Ducks excel in the regular season and also in the playoffs. If you want to wager on them, well you have a made a great choice. However, keep in mind that when wagering on hockey the best teams are not as much better as the weak teams. For example, in 2015-16, the Capitals won a league-high 56 out of their 82 games (68%). During that time, the Leaf’s were the worst team but managed to win 35% of their matches. Meaning that the best teams win two out three matches they play. However, the bad teams still win one out of three. You won’t see a great payoff if the Leafs happen to beat a good team as the Ducks. You obviously get great odds for your wager. Because lower class teams often win, a keen bettor can clean up betting on the NHL.